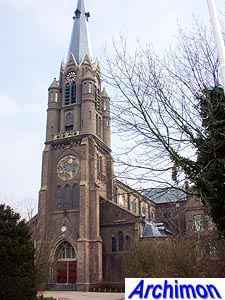 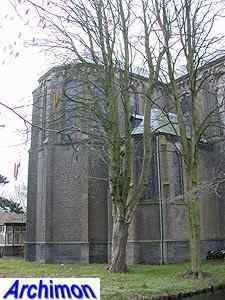 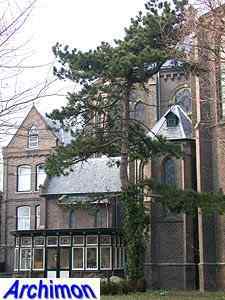 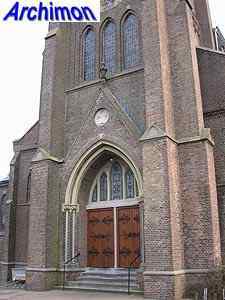 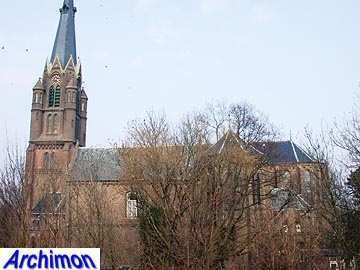 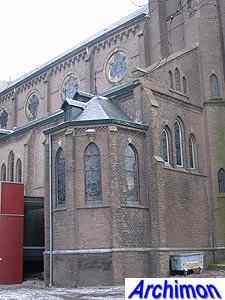 After the Reformation in the 1570's the catholics of Nootdorp lost the use of their church, which from then on was protestant. 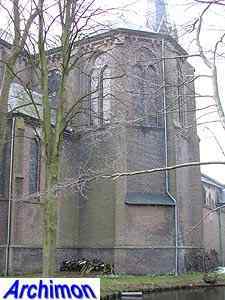 Sometime in the 17th century a hidden church was built which continued to be used until 1871. 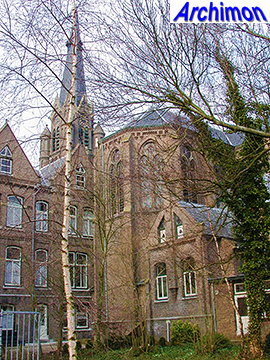 In 1869 work started on the construction of a new church. 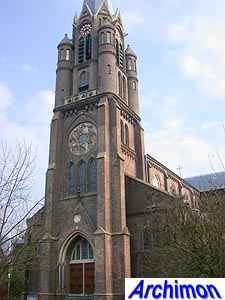 In 1871 the church was completed. 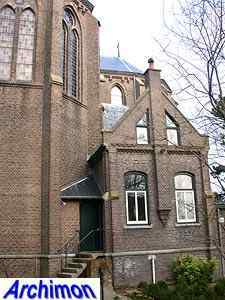 It was designed by E.J. 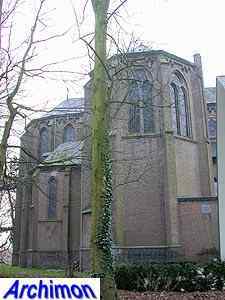 Margry and was one of his first churches. 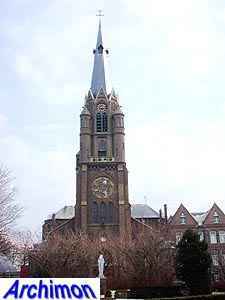 It's a big three-aisled cruciform basilica in a neo-Gothic style inspired by early French Gothicism. 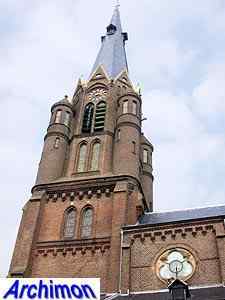 Like many of Margry's churches this one is rich in details, especially the tower. 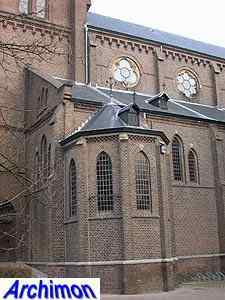 Its upper segment is octagonal and is positioned in between four cylindrical corner-turrets. 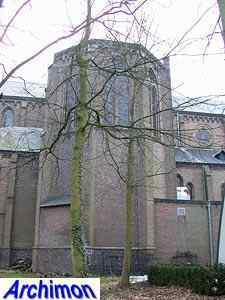 The clerestorey has unusually shaped windows. 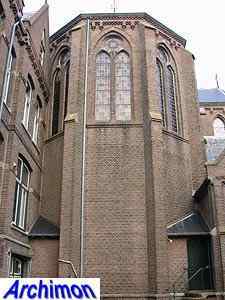 The transept-arms are polygonal. 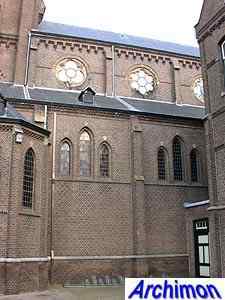 In the corners between these and the choir are lateral chapels. 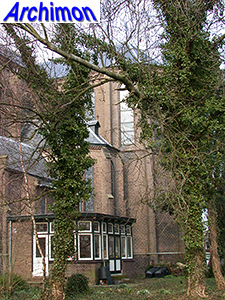 Margry also designed the presbytery next to the church. 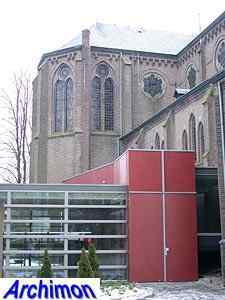 Much more recently a modern addition was built on the other side of the building.